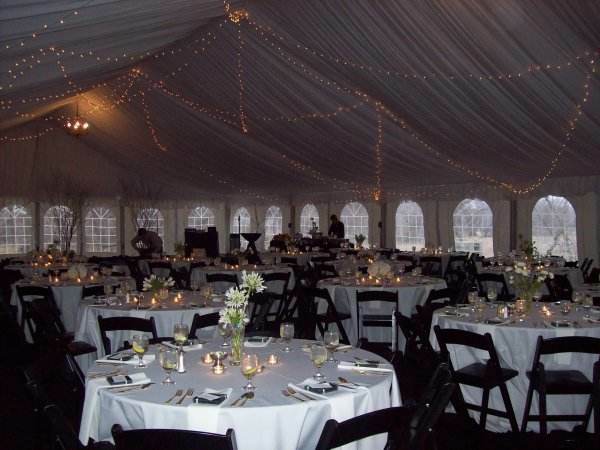 This wedding reception took place in a 50 X 75 LT&A SUPER TENT® with Cathedral Walls. 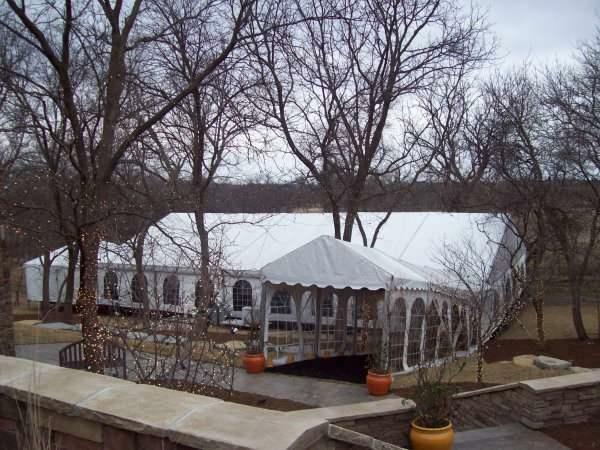 The 10 X 60 white walkway led guests down the hill to the tent and a 20 X 20 Frame tent created a temporary kitchen. Cathedral Walls give an attractive view both when approaching the LT&A SUPER TENT® and while dining inside. Chandeliers, candles and christmas lights add soft lighting and helped create a romantic atmosphere for the evening.